With the internet so readily available in not just homes and offices, but also on the mobile devices we carry everywhere, it’s no surprise that the online search engines are the first stop when people need to find out new information. In any discussion regarding the top search engines in Australia, Google is the brand which springs to mind most often, but Google is not the only capable Australia search engine, and it may not always be the best choice for the type of information you are hunting down. The Google search engine does a reasonably decent job at being all things to all people, but like any product, search engines are created with different features and specifications to attract a specific demographic. For instance, a person who prefers a more private search environment with few or no ads may lean towards a search engine such as DuckDuckGo.com on the desktop or Firefox Focus on mobile devices. Directories have also played a large part in helping Australian businesses attract new clients, and they are no less an essential part of an online marketing strategy in 2018 due to their ability to improve local rankings, as well as provide referrals through a name and address and phone number. Here are the top three leading search engines in Australia, as well as the top 10 verified directories Australian businesses can use to increase their ranking ability and market exposure. 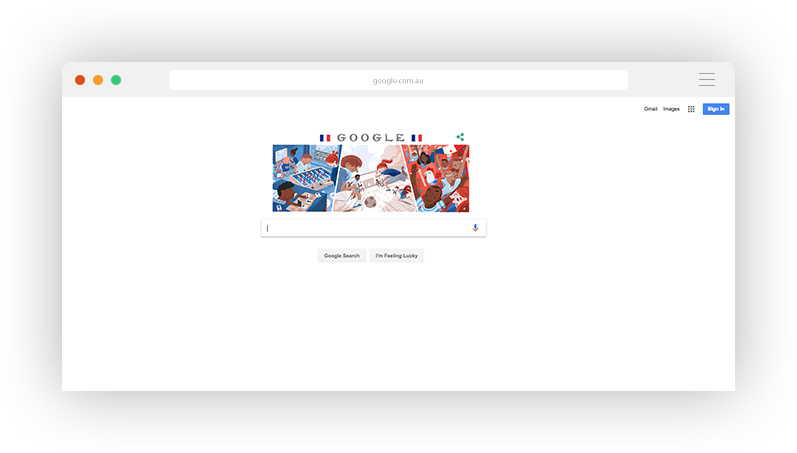 In Australia, Google is currently responsible for redirecting the lion’s share of internet traffic with 93.11% of searches on all platforms, and 97.93% on mobile devices – an increasingly important medium for search portals. With this sort of volume, Google is the dominant force in the search engine market to such an extent that their name has even been coined as a verb in most modern dictionaries. Before Google, AltaVista was reigning supreme in search engine land but used a rather primitive search algorithm that based a page’s importance on the number of times a keyword was mentioned in the text. Naturally, it didn’t take long for keyword stuffing to become the preferred SEO strategy for ranking a page, but it didn’t do much for creating a quality user experience. A couple of PhD students by the name of Larry Page and Sergey Brin from Stanford University decided that a more useful search engine would be one that was based on a page’s authority – a metric based on the number of pages linking to a website and the importance of those pages. The number of backlinks could now be used to influence a page’s ranking ability. It didn’t take long for internet marketers to also realise that this new algorithm could also easily be duped into ascribing more ranking power to a page which didn’t necessarily deserve it. While backlinks and keywords are still partly used for determining where a page ends up in the search engine results, Google’s algorithm is being tweaked continuously to provide more relevant search results, prevent artificial manipulation, and improve the user’s experience. 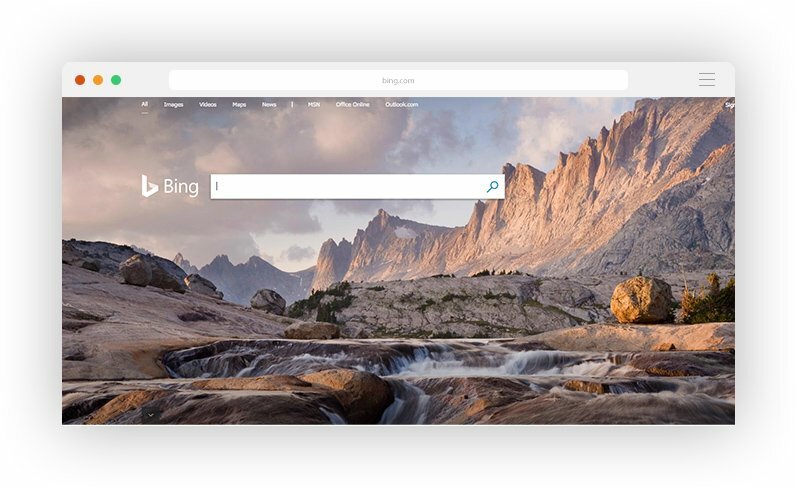 While Bing arrived on the scene in 2009, it has existed in other iterations for many years previous including MSN Search, Live Search, and Windows Live Search. In 2015, Bing officially became the world’s second largest search engine, but the margin between first and second place is vast, as Bing currently handles only 5.04% of searches in Australia on all platforms and only 0.39% of all mobile searches. Yahoo! first came online in 1994 but in recent years has seen a rapid decline in its search engine market share. The first iterations of Yahoo! did not do any web crawling, but instead relied on results collated by other providers such as Google and Inktomi, with the search results then being displayed alongside Yahoo! branding material. Yahoo! did not create its own algorithm for crawling sites until 2004, which it dubbed as Yahoo! Slurp and on-sold the technology to other search websites. From 2009 the Yahoo! search results have been powered entirely by Bing. Yahoo! now accounts for only 0.59% of searches from all platforms combined, and 0.58% from mobile. Search engines have been making progress at phasing out backlinks to establish a website’s importance, a practice which has lead to a gradual decline in a directory’s ability to improve a website’s search engine ranking. However, this does not mean that directories are entirely powerless when used as part of a marketing strategy. Users who are unsure about what phrase to type into a search engine may consider using a specific directory as an alternative to finding out what they need to know. 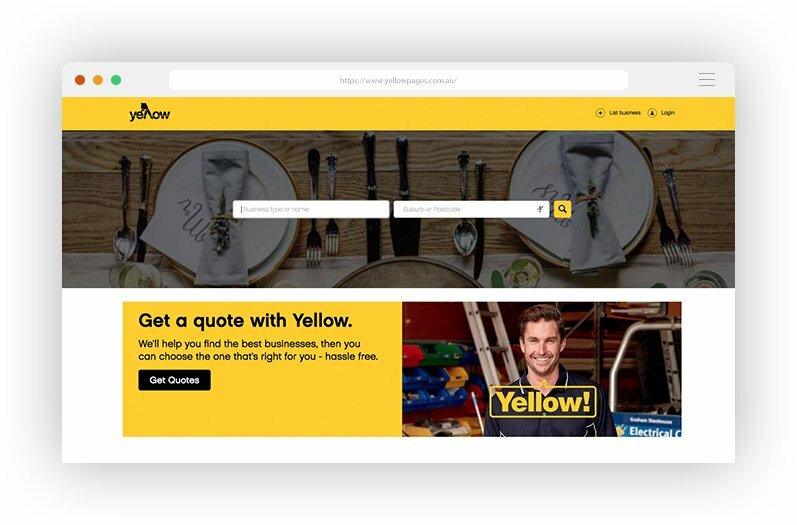 Yellow Pages has transitioned from a purely physical advertising medium to enjoying a prominent online presence that should not be ignored if you are looking to cover every avenue in your online marketing strategy. The Yellow Pages website currently receives over 9 million visitors per month, which result in more than 1 million phone calls. 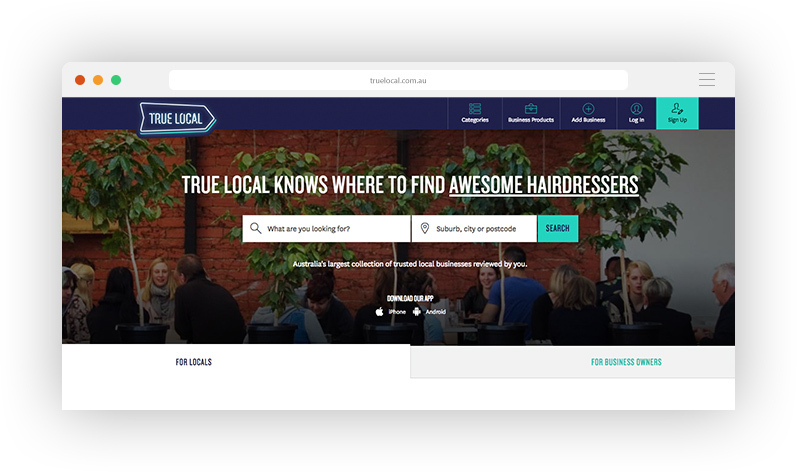 Truelocal is a famous Australian directory receiving 3.1 million visitors per month with 73% of visitors using the site to read reviews about local businesses before making a purchasing decision. There are also 1.1 million searches performed on the site directly every month. Like Truelocal, Yelp is a directory service which also gives customers a chance to review their experience with a business. 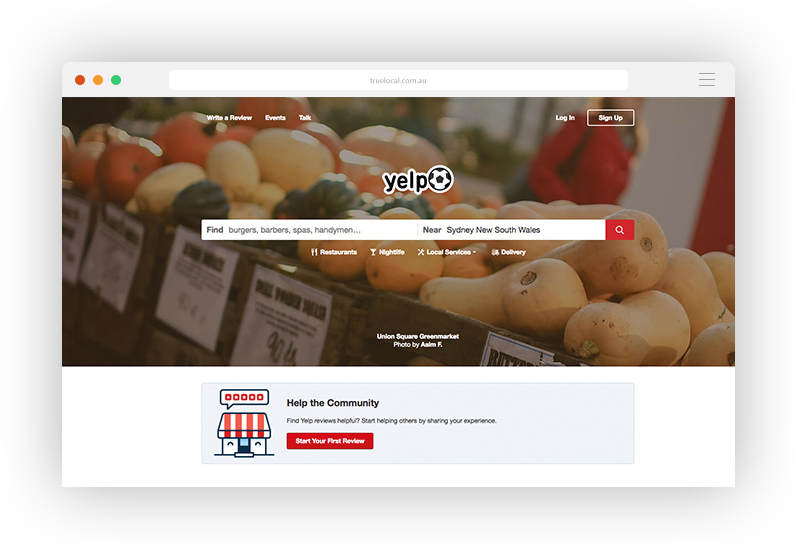 According to Yelp’s website, their traffic levels currently consists of 30 million unique visits using their mobile app, 70 million unique visits via mobile web, and 74 million unique desktop visitors per quarter. The above are currently the top 3 directories for Australian local businesses ranked according to Google traffic. There are many more directories to consider which can help to increase market reach, with the following directories all listed in order of the Google traffic they receive (as of 2018).